Water’s flow in nature usually moves to where it simply desires to go. But here several shiny spotlights have to serve as an urban guide shortly before the middle of the night. 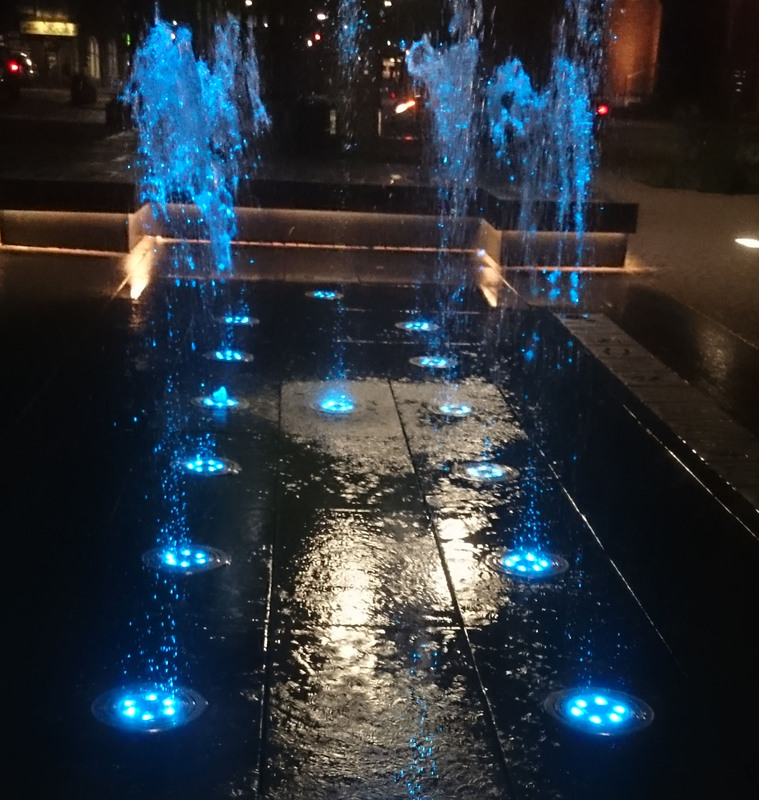 Thank you, well honestly the only spectacular matter in this small, provincial and more boring town, sometimes in the night this play of water and color was accompanied also by music, a nice discovery! It was also much cooler in Poland a few weeks ago than now, I have already made now pictures here in my home-town town which make you think to be right in the desert.